Darcy Kiefel has been photographing Life Events for over twenty years. She began her career as staff photographer in Europe for Cyclisme International, covering ten years of professional cycling, including the infamous Tour de France, from the back of a motorcycle. 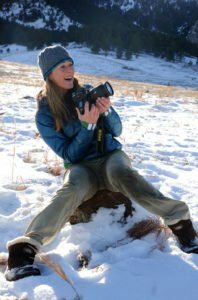 Darcy continued her profession as an International award-winning Humanitarian Photojournalist documenting project efforts to eradicate world hunger and poverty. Her images of development and relief efforts in over sixty-five countries have been published worldwide. In 2004, partnered with Heifer International, she was honored with a photographic exhibition at the United Nations headquarters in New York City. With feet firmly planted on US soil during the Wedding, Senior, and Family Portrait season, Darcy specializes in Life Celebrations using natural light to capture your most treasured moments. She takes pride in developing true relationships with the people she photographs. Comfort, trust, and friendship enable Darcy to capture from-the-heart-moments…naturally. Her hope is to accompany you in every chapter of life and create a storybook of memories for generations to cherish.